TOMMY CASTRO (1955/San Jose, CA ? ) and his music sit squarely at the centre of an evolving tradition of rock and blues. Castro, winner of the 2008 Blues Music Award for Entertainer Of The Year, is famed not only for his hard-hitting, impassioned vocals, soaring guitar work and his blues-infused, rocking R&B sound, but also for his striking, original songwriting and exhilarating stage show. According to The San Francisco Chronicle, ?Castro navigates seriously funky Southern soul, gritty big city blues and scorching rock?his silvery guitar licks simultaneously sound familiar and fresh.? In a relatively short time period, guitarist, vocalist, and songwriter, Tommy Castro has gone from playing local venues to international fame. For at least two years, he has even been a part of the B.B. King Festival Tour, which this year played thirty-nine different domestic venues. He has also been the house band on NBC-TV's Comedy Showcase, for three seasons. Working as the house band on NBC's Comedy Showcase, airing after Saturday Night Live, only boosted his visibility and name value. Castro's music has also been featured in network television programs such as ?Nash Bridges? and ?The Young and the Restless.? He has won regional awards and has been featured on the cover of a national blues magazine, ?Blues Revue.? Born and raised in San Jose, CA, Castro started playing guitar at the tender age of ten. Initially inspired by Mike Bloomfield, Eric Clapton, and Elvin Bishop, he started the inevitable journey into the roots of his heroes and discovered and quickly became enamored of B.B. King, Buddy Guy, Elmore James, Muddy Waters, and Freddie King. His vocal styling came from constant listening to Ray Charles, Wilson Pickett, James Brown, and Otis Redding. Castro spent many years playing with bands in the San Francisco Bay Area. Castro joined Warner Brothers artists The Dynatones in the late 1980s. The much-loved rocking soul band had a huge fan base and toured the U.S. constantly. He honed his chops with the band on the road for two years, performing live all across the country and backing major artists like Carla Thomas and Albert King. 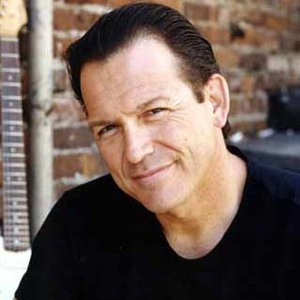 Returning to San Francisco, he formed the Tommy Castro Band in 1991, which was named Club Band Of The Year for the Bay Area in 1993, and again in 1994. Regular band members have included Randy MacDonald (bass/vocals), Keith Crossan (saxophone/vocals), Billy Lee Lewis (drums/vocals), and Chris Sandoval (drums/percussion). In 1997, he won Bammies for Outstanding Blues Musician and for Outstanding Blues Album for his debut release on Blind Pig Records, Exception to the Rule. The band continued to record with Blind Pig over several albums. Can't Keep A Good Man Down received continuous airplay and regular fan requests on well over 400 radio stations nationwide. Live at the Fillmore was released in early 2000, and with everyone from industry insiders to B.B. King singing his praises, Castro appeared to be headed for bigger and better things. Blind Pig closed the books on their association with Castro in 2002 by releasing the career retrospective The Essential Tommy Castro. In 2001 the Tommy Castro Band moved over to 33rd Street Records for Guilty Of Love and then to Heart And Soul for 2003's Gratitude, a cover album of Castro's greatest heroes, followed by Triple Trouble (with Jimmy Hall and Lloyd Jones) later that same year from Telarc. The eclectic flavour of 2005's Soul Shaker, marking his return to Blind Pig, featured more original compositions from Castro, who wrote or co-wrote all the tracks. Although horns and guitars still dominated, the fusion was more varied. Notable tracks included the wistful ?Anytime Soon? and ?The Crossanova?, characterised by Crossan's funky flute. Tommy Castro and his brilliant band have captured a hold of legions of fans and critics alike around the world with their mesmerizing blend of rock, blues and Memphis soul. On the next release ? Painkiller ? they continued to explore the boundaries of American roots music. On this CD, Castro teamed up with producer John Porter, renowned for his work with a Who's Who list of artists such as Los Lonely Boys, Taj Mahal, Keb Mo, Santana, B.B. King, Elvis Costello, adn Buddy Guy. Said Castro, ?When I started looking for a producer, I realized that John had produced some of my favorite records of the last ten years. After working with him in the studio, I understand now why that is. With John, everything just seems to be right; all the parts work and flow together.? With the Tommy Castro Band anchoring the sessions, Porter fashioned a most tasteful album from the many talented parts of Castro's patented rock ?n' soul music. Special guests Coco Montoya, Angela Strehli, David Maxwell, and Teresa James join the fun. In 2009, Alligator Records has set an August 11 street date for Hard Believer, the label debut from Tommy Castro.